Our company provides silk rug cleaning service in location surrounding Kuala Lumpur and Selangor, Malaysia. We know how much you love your silk rugs. You consider them your prized possession. Those majestic colours add a whole different dimension to your home, but with time and much obvious foot fall, the silk rug may start to lose its charm. These rugs need a gentle touch and a lot more delicate care for their cleaning. This seems to be an easy job, but it is a wiser decision to let the professional rug cleaners take over in this area. This is where our pro team comes into the picture to lend you a helping hand with our silk rug cleaning service. With technicians trained for the job, and their well defined skill set, your rugs are meant to be forever new. Why Choose Our Silk Rug Cleaning Service? Some companies have a standardized process for the job, irrespective of the type and material of rugs. We on the other hand, make sure every rug material type is treated and cleaned according to its requirements. Our cleaning staff is available to answer all your queries regarding the process so you know exactly what you are dealing with. 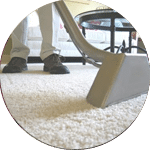 To avoid damaging your floors, we clean the rugs at our own shop. This gives us the opportunity to perform services with 100% focus without any disturbance to your schedule. We also provide on-site silk rug cleaning upon request by our customers. Our service is not limited to one rug at a time. Instead, we can take up multiple rugs and clean them all at once for a revamped home experience for you. How to ensure that your silk rugs lasts longer? To maintain the life of those beautiful silk rugs, try to not engage in steaming the silk rugs as this will increase the intensity of wear and tear on those silk threads. 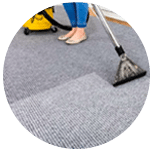 Contact our customer and sales support team via a call or drop us a message for more information and to get a FREE quote for jute rug cleaning service right now! 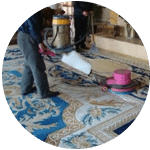 Our customer service team will reply to your request within a few working hours to find out more and discuss further about the silk rug cleaning service that you require. Subsequently, we will issue you a quotation and an invoice for the silk rug cleaning service. 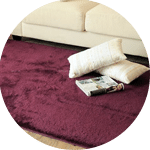 Our silk rug cleaning service is available in Peninsula Malaysia from Kuala Lumpur, Selangor, Ipoh, Johor, Malacca and Penang. Speak to our team to enquire more about the silk rug cleaning service that we provide in your area. I have a special request for my silk rug cleaning service, can this be done? 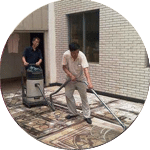 We understand that sometimes our customer have special requests for silk rug cleaning service with regards to timing and other matters such as stain removal. In this scenario, you can contact our customer representative team at 017-232-6491 to discuss your silk rug cleaning request.